and although it looks like 2 V6 stuck together and 60% of the parts were common with the 60 degree v6 it was actually a unique engine. It features 650 ft-lbs (gross) of torque at 850 rpm and between 255-275 hp at 2400 rpm, a 180 lbs forged crank, 3 thermostats that allow for an astonishing 108 GPM flow. The HP figure is something unique as its still the most naturally aspirated horsepower at that rpm to run on 87 octane ever put in a vehicle. P.s. it was recommended for regular service only at 200,000 miles. 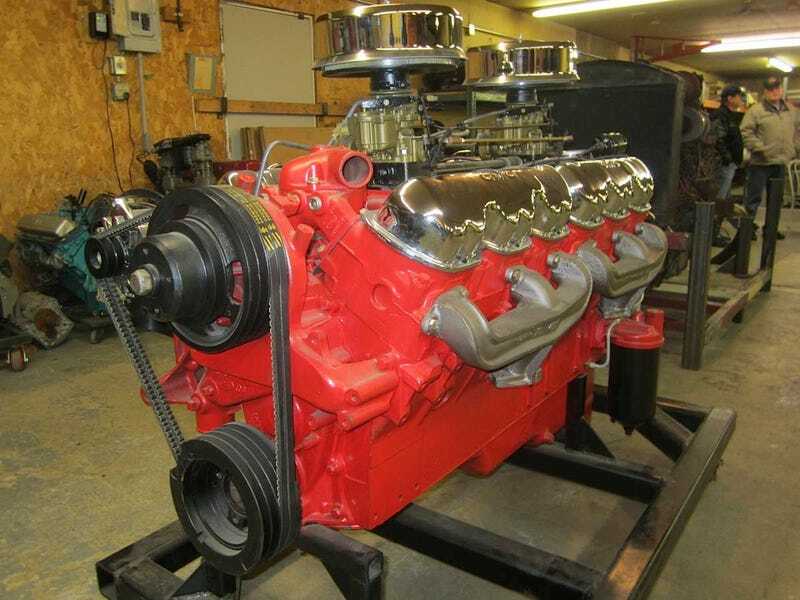 It was meant for heavy duty truck work, but its probably best known as the engine in the Blastoline B 702. One heck of a motor and car.